Tidal works to support, coordinate and grow the global justice movement in Leeds. Debt, trade, pollution, biodiversity, resource depletion, water scarcity, food security, poverty, climate change - the number of big issues just keeps on growing, threatening our children's futures and the lives of the most vulnerable people on the planet. 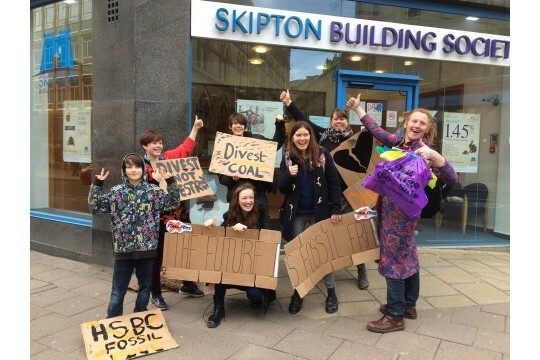 We believe that strong, diverse and united grassroots movements are vital to sustainable change, and it's our mission to help global justice activists in this Leeds be as effective as they can possibly be. There are hundreds of groups all over Leeds doing wonderful work on global justice and we believe that we're at our best when we work together. We achieve this by providing resources for activists and by facilitating cross-activist group campaigns. 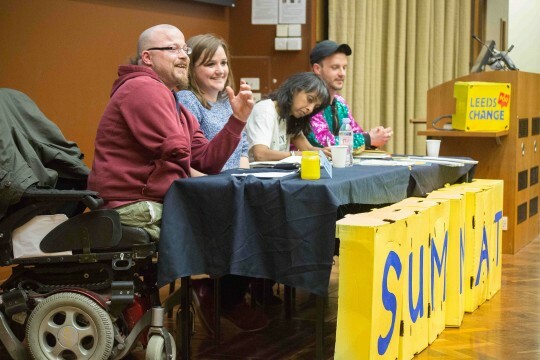 Bringing people around common campaign aims, sharing skills and resources and connecting up activists in Leeds means that we are helping create a massive, strong and effective movement capable of taking on the biggest challenges in our society. This year we've organised two big gatherings that brought together over 240 change-makers. In 2014 we launched Leeds for Change, an online communication tool that unites over 1500 people in Leeds working in line with values of solidarity, equality and justice. In 2009 we charter a train with 700 activists to The Wave climate march. In 2003 we successfully campaigned to make Leeds the first fairtrade city.